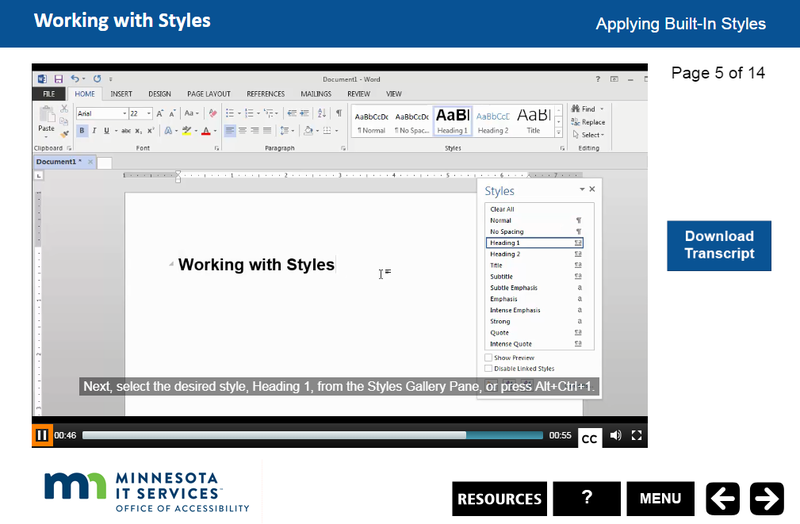 Business Challenge: provide instruction and practice in creating accessible Word documents. 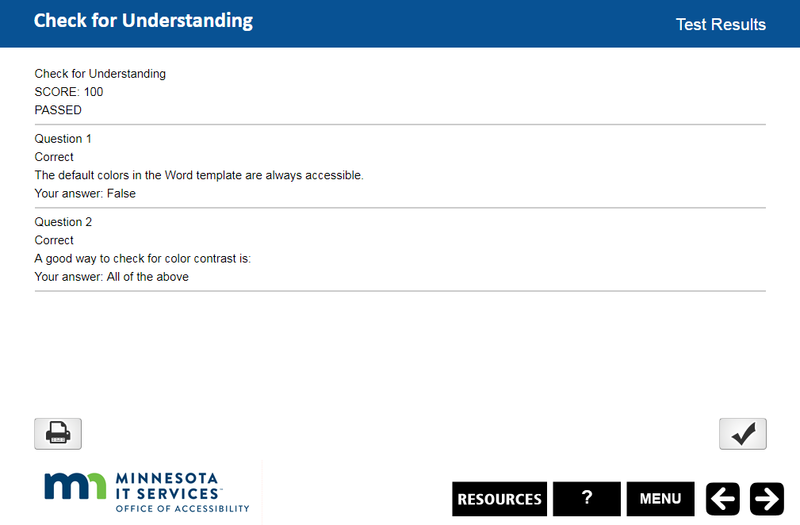 Due to an increased emphasis in applying accessibility guidelines to all work, the state of Minnesota requires that all employees and contractors working for a Minnesota government agency create accessible Word documents. 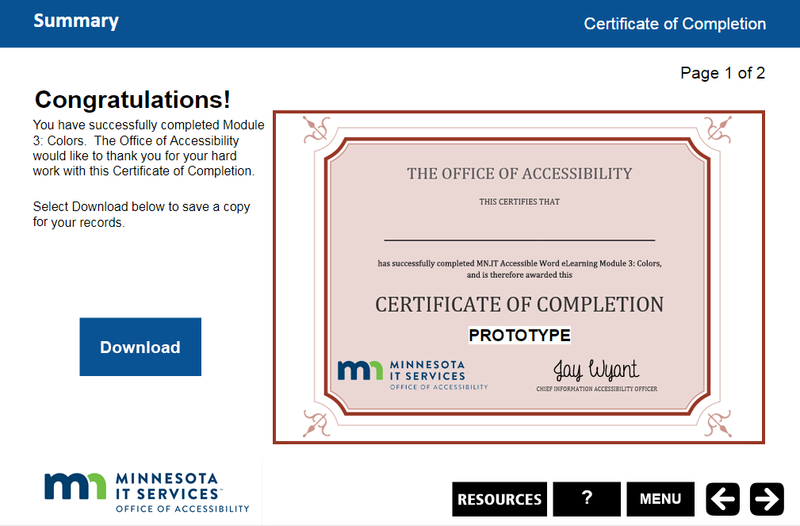 To help people meet that requirement, we partnered with Minnesota IT Services to create seven accessible eLearning modules that educate people on how to create accessible Word documents. 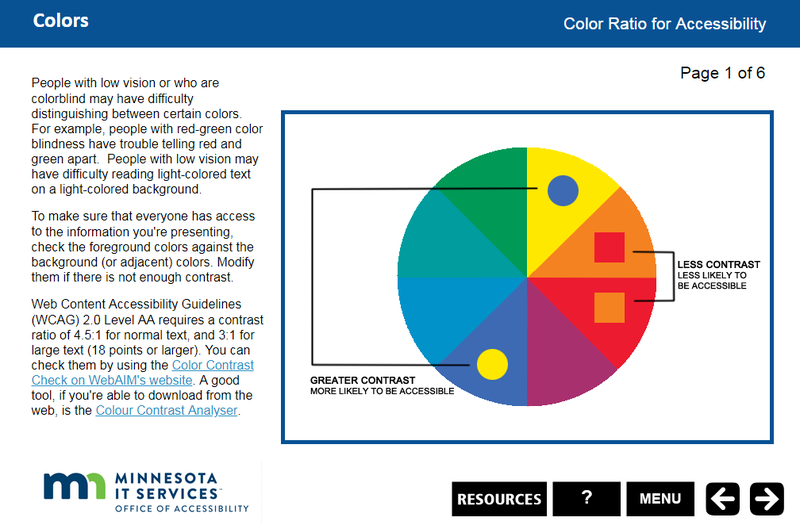 The main challenge? 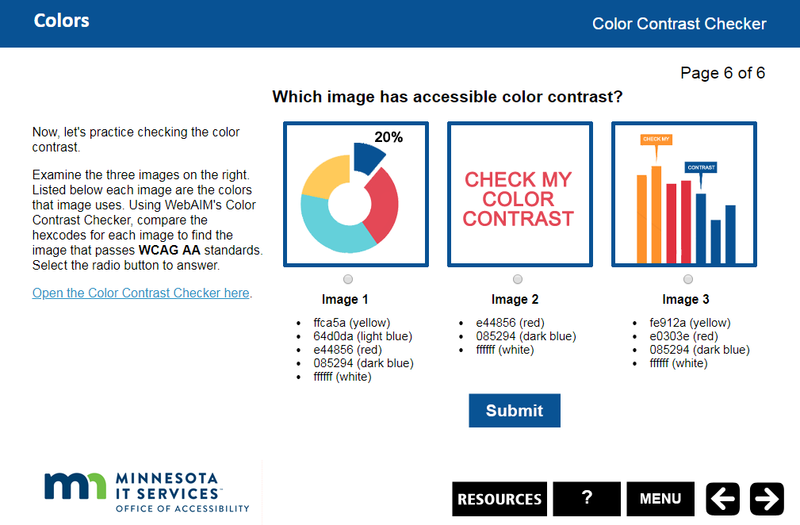 Every outline, storyboard, image, video, and interaction needed to meet State accessibility guidelines and WCAG 2.0 AA standards. 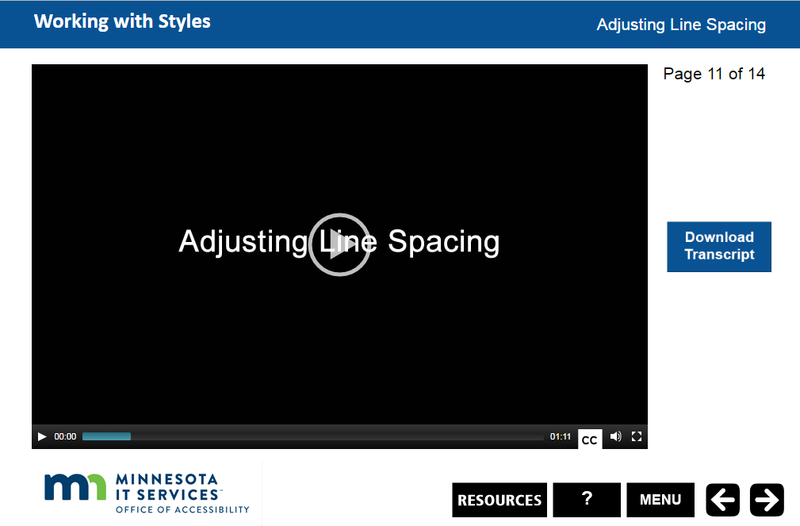 The audience includes employees and contractors working for a Minnesota government agency.